Movable Type is a powerful solution for the creation and management of web content. Movable Type is a social publishing platform equipped with powerful functions that help users publish information online. 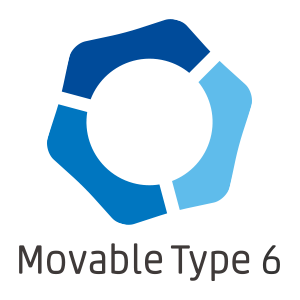 Movable Type includes a highly flexible system for managing website files and images, as well as functions that anyone can use to build web content easily. The various functions support the creation, operation and management of all sorts of online presences, from simple blogs to large-scale corporate websites. The advanced editor is a standard feature and is as easy to use as a word processor. Anyone can create captivating web content. The template feature with unique tags gives users free reign over the design of their websites and blogs. The manager screen utilizes leading technology such as HTML5, CSS3 and jQuery, significantly reducing the stress involved in website management.